W hether you’re expecting Austin to be the live music capital of the world, a hipster paradise, a refuge for weirdos, a city full of growing pains, a blue spot in red Texas, or a town taken over by techies, you’ll find confirmation of your assumption. A wonderfully messy conglomeration of students, young professionals, families, and remaining Slackers have woken up this once-sleepy town and given it a multifaceted identity. 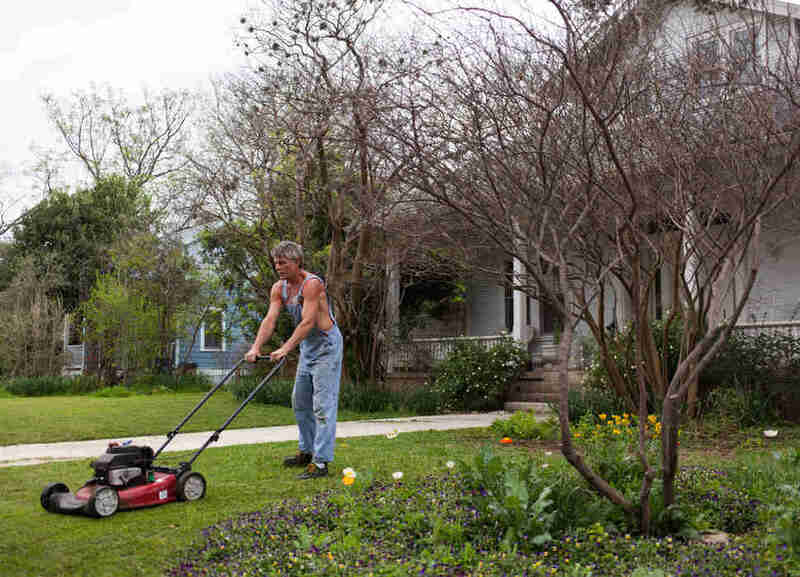 Within the city’s 271.8 square mile perimeter, each Austin neighborhood has its own distinct charm -- and more often than not, its own struggle in the face of this city's lightning-fast growth. 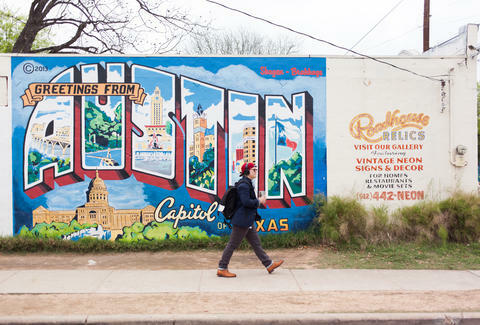 Hordes of newcomers are moving here every day, but no matter where you travel, you’ll meet seasoned Austinites who are more than willing to tell you all about their part of town: how it used to be, how it’s changed, and why they still adore it. Austin's a big ol' place, so we've focused on the centrally located 'hoods a visitor is most likely to wander into (and stealthily scope out for their next big move). Where to eat: Moonshine for down-home Texas cooking, or Koriente if you’re headed to a show on Red River. Where to drink: Where to begin (or end)? Beer lovers shouldn’t skip Easy Tiger. The boozy and somewhat bougie speakeasy Midnight Cowboy will satisfy cocktail lovers. Your coffee fix: Halcyon’s coffee and s’mores on Fourth St will stabilize your head after you down a couple of absinthe cocktails at Péché, just a few doors down. Downtown Austin isn’t intimidatingly large, but it packs a lot into one space: The Capitol building, historic architecture like the Frost Bank Tower and the Paramount Theatre, movie theaters (Violet Crown, Ritz), comedy venues (The Hideout, Esther’s Follies, and The New Movement), and several nightlife districts that each offer up a different slice of fun. 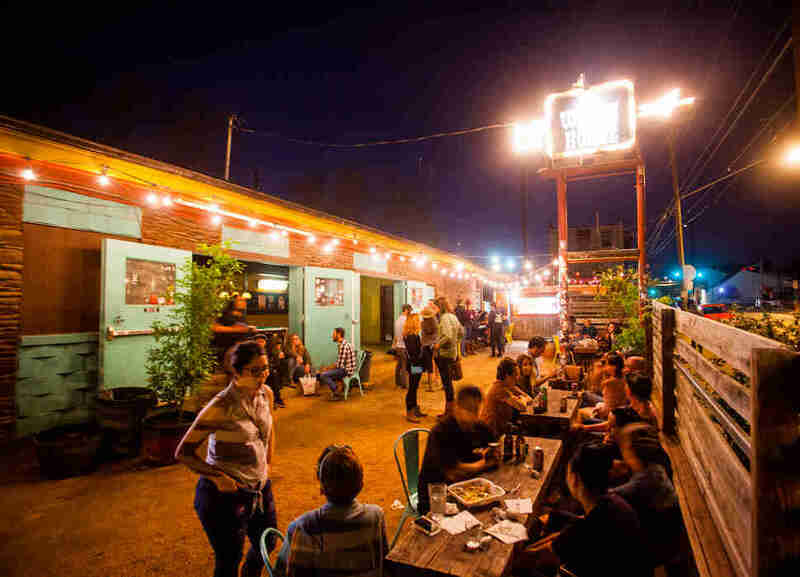 You'll hear Rainey St mentioned; it's a historic area near the river where Craftsman-style homes from the '30s have been converted into bars and restaurants, with patios packed with a post-collegiate, slightly fratty crowd. But newly constructed high-rises and Hotel Van Zandt now tower over the bungalows, bringing in even more traffic and a visual juxtaposition that epitomizes the push and pull of new and old Austin. You’ll see a lot of those. Red River St, past the Convention Center, is where you can hear a punk band playing at Beerland right next to a darkwave dance night at Elysium. Then of course, there’s Sixth St. Between Congress and I-35, “Dirty Sixth” is the raucous street you heard about from an undergrad with a fake ID, who insists on wearing heels despite the losing battle she’ll face with the cobblestone streets. Past Congress Ave, though, is West Sixth, the street you heard about from a young professional who lives in a high-rise and had a perfectly tame evening barhopping between The Ranch and The Dogwood. Head south and you’ll enter the Warehouse District, where gay club Oilcan Harry’s hosts famous and upcoming drag talents a couple of doors down from the grinding dance floor of Rain. On the western edge of Downtown, around Sixth and Lamar, you can have a quintessential Austin morning: grab brunch at 24 Diner or Counter Cafe -- whichever has the shorter wait -- then hit up BookPeople, an independent bookstore that’s fought off chain store competitors. Pick up some LPs across the street at Waterloo Records before grabbing an ice cream at Amy’s next door, and you’re on your way to falling in love with the city. “The punk collage telephone poles are some of my favorite public art in town. Nobody asked for that art to be there, but nobody takes it down -- it just started happening one day and everyone embraced it and it's free and unassuming, it doesn't ask anything of you, it's just part of your walk.” -- Lesley Dixon, on the telephone poles lining First St that are often covered in odd objects. Where to eat: The hippie-centric Bouldin Creek Cafe for brunch; the always delicious South Congress Cafe for dinner. 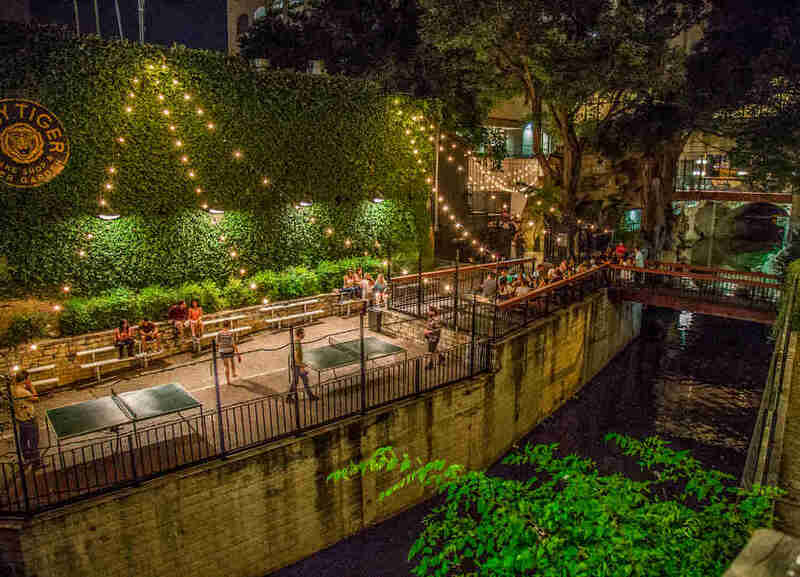 Where to drink: Escape the crowds on South Congress; duck into the lush Hotel San Jose patio for a poolside cocktail. 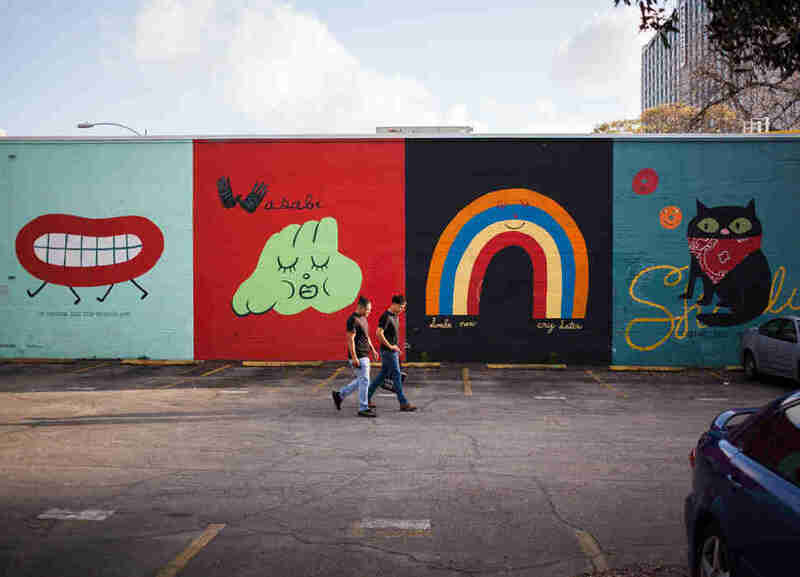 Your coffee fix: Once Over has a relaxing porch with a small creek flowing behind it, or visit Jo’s on South Congress so you can Instagram the “I love you so much” mural. 78704 is a well-known area code for a reason; it’s sublimely laid-back, with plenty of good food, art, and places to wander. Austinites like to take out-of-towners to SoCo, braving the weekend crowds so they can duck in and out of air conditioning while their starry-eyed visitor gets their shop on. Hit Uncommon Objects for random antique oddities, Turquoise Door for Mexican folk art, Allens Boots for, well, boots, and Feathers Boutique for vintage. At night, the legendary Continental Club comes alive with rock, blues, or country bands. South Congress also has a gorgeous uninterrupted view of the Capitol, but it’s not worth getting run over for a photo. One block over from SoCo is the less-booming and highly underrated First St in the Bouldin neighborhood, a haven for bona-fide hippie-, artist-, and eccentric-types. Stop in at the Art for the People Gallery, a boutique and art gallery combo, before discovering Roadhouse Relics, neon artist Todd Sanders’ studio. Here, you will also find the classic “Greetings From Austin” mural. If you head north along First and turn right on Mary St, you can visit The Herb Bar, a store full of healing herbs, teas, and essential oils. Keep walking down Mary St to see perfect examples of classic Austin bungalows next to new and bizarre builds like “Bouldin Castle” at Third and Mary. Often overlooked by visitors, the 160-acre St. Edward's University also resides in the '04 further down South Congress Ave with a student body of around 5,000. Laid-back liberal arts students can watch a stunning sunset from the top of their campus hilltop, then head to the patio at Crow Bar. 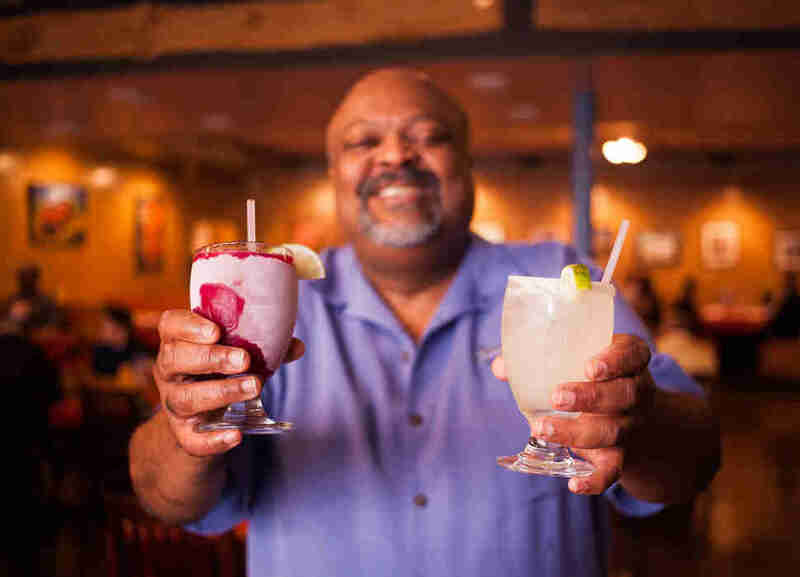 Also in the area: Curra's Grill has avocado margaritas and some of the best authentic Mexican cuisine in the city. Where to eat: Head to a food trailer along South Lamar (like Luke’s) or Barton Springs (like Cannone Cucina Italiana). Where to drink: ABGB (Austin Beer Garden Brewing Company) has live music and lengthy picnic tables. Gourdough’s Public House has cocktails you can pair with a decadent donut. It’s hard to go wrong. Your coffee fix: Try Radio Coffee on Manchaca, or Austin Java will provide you with the proper amount of caffeine for a nice walk to Zilker Park. The neighborhoods near the Greenbelt attract outdoorsy Austinites who yearn to keep some of the old Slacker-era Austin alive, even as they brave the constant construction of new condos and hardly bat an eye at a $10 green juice. 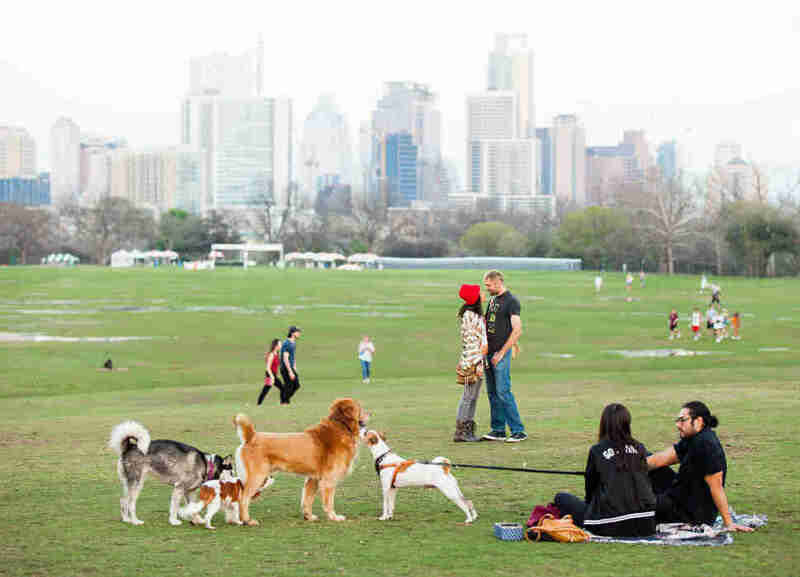 Zilker, Barton Hills, and South Lamar have the same 78704 vibe of Bouldin Creek and South Congress, but with the addition of some of the city's most loved and frequented green spaces: Zilker Park (home of the ACL Festival), Barton Springs Pool (a spring-fed natural wonder with 68 degree water), the Umlauf Sculpture Gardens (containing stunning bronze statues), and the Austin Nature & Science Center (next to the Zilker Botanical Garden). Meanwhile, major developments along South Lamar have been a point of contention. The Alamo Drafthouse complex, one of the original locations of the now famed movie theater chain, transformed from a wide-open parking lot flanked by vintage stores to a tall, mixed-use condo complex. Some moviegoers appreciate the update; others abide it so long as the Drafthouse keeps hosting its specialty shows -- like the music video dance parties, and the movie-mocking Master Pancake comedy troupe. Drive further down South Lamar and you’ll see where old car-repair shops were torn down to make way for the apartments that loom over the historic honky-tonk, The Broken Spoke. This visual is a perfect snapshot of the city: Times are changing, but locals are putting up one hell of a fight to keep these institutions alive. Where to eat: Juan in a Million, on E. Cesar Chavez, appeared on the Travel Channel for their gut-busting Don Juan Breakfast Taco Record Challenge. Try it if you love breakfast tacos and food comas. Otherwise head to Queen Lola’s to support a local personality who provides free tasty Cajun-inspired dishes to the homeless. Where to drink: King Bee has a chill vibe with a frozen Bees Knees cocktail. People-watching at the White Horse is always ace; two-stepping couples inside, mingling bike (motor and fixie) riders outside. East of I-35 was a historically segregated part of town starting back in the 1880s. Waves -- nay, tsunamis -- of gentrification have transformed the area (south of Martin Luther King Jr. Blvd, north of the Colorado River) into a hipster hotbed, an expansion of Downtown’s nightlife and music scene. Trendy eateries and watering holes mix with old homes -- the latter more and more scarce, as working-class families are driven out due to the rise in taxes. It’s the kind of place where an African-American baptist church dating back to 1875 shares a street corner with a gargantuan stretch of ugly condominiums. Community groups try to maintain a balance between growth and roots. It’s a vibrant arts haven, home to galleries and studios like grayDUCK, Canopy, and MASS. If you happen to visit during November, check out the East Austin Studio Tour when affable artists open their creative spaces to show you their work in every medium you can fathom. Wood, embroidery, clay, wax, eggs, blood -- it’s all fair game in the Austin art world. Visitors will want to drive down César Chávez, historically a Latino neighborhood, for its strip of small businesses, East Sixth for its densely packed nightlife that sways more divey than fratty, and 12th St for its bars with strong personalities, like the mosaic-covered live music lounge Dozen St. If cemeteries fascinate you, pay your respects to Civil Rights leader Barbara Jordan and the 45th Governor of Texas Ann Richards at the Texas State Cemetery. In true Austin fashion, you can walk across the street afterwards and eat boozy ice cream at Prohibition Creamery. Where to eat: Josephine House will fill you up with their lemon ricotta pancakes. For a dinner, head to Winflo Osteria, which hosts intimate concerts in their small speakeasy room on Thursdays. Where to drink: Nightcap offers taste explosions on their drink and diner menu, or order “A Drink Named Sue” at the Mean Eyed Cat. Your coffee fix: Sweetish Hill Bakery for caffeine and a sugar rush via their Texas-shaped cookies. You start to feel the rolling hills of the Texas Hill Country taking shape under your feet once you hit Clarksville and Old West Austin -- west of Lamar, east of MoPac Expressway, and south of 38th. Stately older homes are squeezed together by narrow streets and lush overgrown greenery. Residents are generally older and, let’s just say it, rich. They exhibit a sentimental attachment to the past -- it’s evident in various time-warps like the classic diner, drugstore, and soda fountain at Nau’s Enfield Drug on West Lynn, or the old train depot turned honky-tonk, Donn’s Depot. Different from the anything-goes vibe of the East Side, you’ll find carefully curated art galleries like Artworks, the Russell Collection, and Wally Workman. The Shoal Creek Greenbelt borders Lamar, providing rock formations and hidden trails for sporty locals who manage to still look beautiful on their jog while barely out of breath. But even this “sophisticated” neighborhood succumbs to Austin’s oddness and hippiedom now and again. 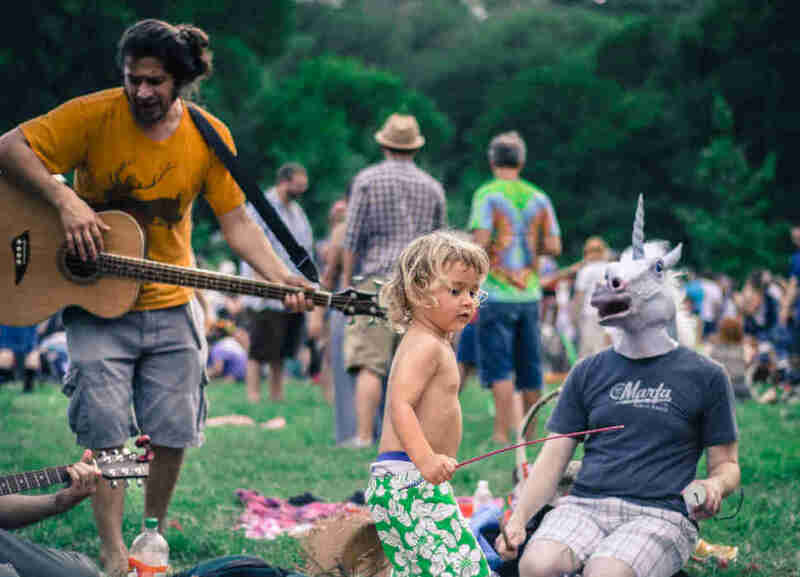 Once a year on 4/20, Pease Park transforms into an all-ages celebration lovingly named Eeyore’s Birthday, with drum circles and puffs of smoke billowing from the not-so-sneaky stoners hiding in the woods. Where to eat: Kerbey Lane is a 24-hour student favorite. For dinner, edge closer to Downtown and eat at the possibly haunted, but definitely delicious, Clay Pit. Where to drink: Spider House, where you’ll sit on a patio decked out with Christmas lights and yard art rejects like a peeing cherub fountain. Your coffee fix: Cream Whiskers, because you need a brown butter pecan cream puff with your coffee. The University of Texas currently enrolls around 60,000 students; accordingly, the area around campus is a slightly different beast. During the school year, south of 38th St and north of 15th is teeming with hurried students wearing sweatshirts and shorts to survive both the Texas weather and aggressive classroom A/C. On game days, expect to sit in interminable traffic and watch waves of burnt orange worn by undergrads and alumni excitingly brandishing the “Hook ‘Em Horns” hand signal. If you’re on campus, the Blanton Museum of Art has a wonderful permanent collection, and there are several curious public art pieces, including a sculpture by Nancy Rubins made from 70 strung-up canoes. Right before the sun sets, make your way to the James Turrell Skyspace on top of the Student Activity Center for the relaxing evening light sequence. On Guadalupe St, colloquially referred to as “the Drag,” a string of shops and restaurants have more or less been taken over by chains. But vestiges of the good old days remain, like Daniel Johnston’s lovable frog mural, “Jeremiah the Innocent,” at the corner of 21st St. Grab a few beers at the 44-year-old dive bar Hole in the Wall. The sign says it all: “Live Women, Cheap Music, and Fast Drinks." If you happen to wake up early enough the next morning, turn on KUTX and listen to John Aielli, the radio host who’s worked at UT’s station since 1966. In true Austin fashion, he plays eclectic music, rambles, and does whatever the hell he wants. Where to eat: Try Hyde Park Bar & Grill and get the fries (you won’t regret it), or stop by Wheatsville Co-Op for a sammy at their back counter. Where to drink: The tiny Tigress Pub is worth watching until you see a table open up. Workhorse Bar has a small back patio that actually feels like you’re at a friend’s house. Your coffee fix: Quack’s Bakery on Duval, or Epoch, next to Breakaway Records on W North Loop, will serve you 24/7N. Just north of campus, the Hyde Park neighborhood is full of ridiculously idyllic bungalows. Residents range from students in small apartments to home and business owners who are bent on keeping their properties perfectly manicured to match their Texas Historical Commission plaques. There are strict rules for protecting this community from any drastic changes, and they have the funds to back it up. Take a stroll down Avenue G and you’ll see what’s at stake; historic homes like the Frank M. and Annie G. Covert House give a glimpse of old Austin, in what’s considered to be the city’s first suburb. Hyde Park’s northern neighbor is the very small, very chill North Loop area. Step into Room Service Vintage for weirdo home décor, one of the best vintage furniture stores Austin has to offer. Across the street, the volunteer-run Monkeywrench Books is a radical meeting place with posters, zines, and books that will fulfill all your political literary needs. Right next door is adult toy store Forbidden Fruit, so really, North Loop is just like your standard one-stop shopping trip. Where to eat: Eastside Cafe serves up a mean burger and brunch, sourcing many ingredients from their garden and chicken coop out back. Where to drink: If you like dark with a side of dinge and live music, try Skylark Lounge. If you want a swankier cocktail, head to School House Pub for a fluffy and floral gin-based Detention. Your coffee fix: The always-good Cherrywood Coffeehouse has plenty of patio seating. East Austin, north of Martin Luther King Blvd and south of US-183, is spread out, but still warm and welcoming -- a mash-up of winding residential streets and well-known small businesses, alongside new developments still finding their niche. To get the full effect, enjoy a long coffee on the patio at Cherrywood Coffeehouse, on East 38th ½ St. Then, if you like quirky architecture, mosey down Maplewood Ave into one of Austin’s little-known enclaves, known as “Duplex Nation.” These funky retro-modern duplexes were all built post-WWII, and house a bevy of student renters and alternative types. Amongst the homey bars and restaurants on Manor Rd, a small theater called The Vortex puts on original plays. It’s conjoined with Butterfly Bar’s vast patio, resident cats, and artist clientele. To complete the trifecta, Patrizi’s popup Italian food trailer is on the same property. (Get the garlic bread.) Manor is also home to some damn-good Tex-Mex -- you can’t go wrong with Mi Madre’s or the original El Chilito. Head northeast on Airport Blvd -- still pleasantly grimy and untouched by condo developers (for now) -- and you’ll find the family-friendly Mueller Community, one of Austin’s newest neighborhoods. This walkable, mixed-use urban village was the site of Austin’s original airport.